The uScibe team is made up of over 30 middle and high school students who oversee public relations, website design, curriculum development, operations management, and other organization functions. The team works with local educators and an experienced board of non-profit executives and researchers to strengthen community impact. 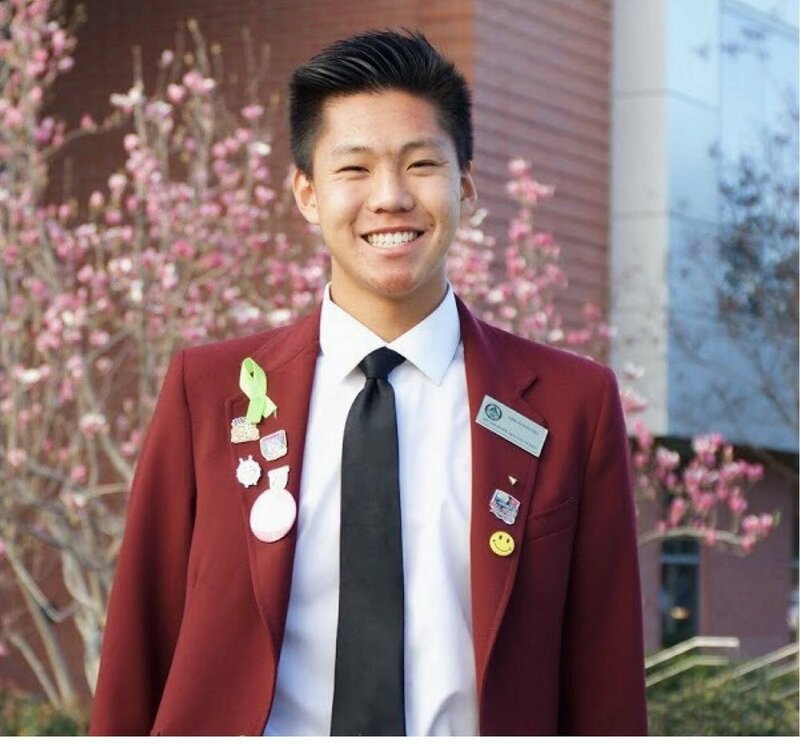 Ben Liu is a senior at Arcadia High School. He currently leads the Arcadia Future Business Leaders of America (100+ Members) and the Arcadia Young Democrats. 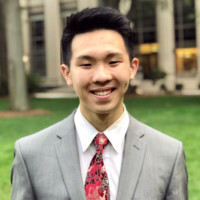 Having completed biomedical research for six years, Ben is a top 10 Research Science Institute Scholar, 1st author of a patent-pending RNA diagnostic system, winner at international and national science fairs, and author of several internationally-recognized conference papers. In addition, he has accumulated over 400 backpacking miles and over 100 camping nights in scouting. Ben co-founded uScribe in the 6th grade, and is an avid reader and op-ed columnist. In his free time, he enjoys dog walking and hiking. Vivian Chan is a senior at Arcadia High School. She currently leads the bass clarinet section of the Arcadia High School Marching band, volunteers at the Methodist Hospital, and is a member of the Arcadia High School Constitution team. Vivian has been a part of uScribe for seven years. In her free time, she enjoys reading books and hopes to share her passion for writing through teaching. 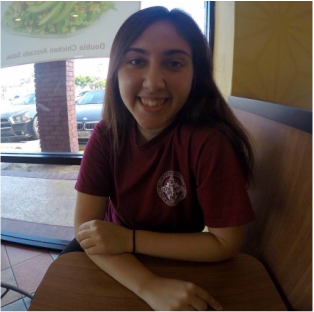 Nicole Cavallarin is a junior attending Arcadia High School. She is a member of the Arcadia Apache Marching Band and has volunteered at the Arcadia Public Library and Methodist Hospital for three consecutive summers. In her free time, she enjoys running and reading. Having found the appreciation for poetry and creative writing, she is excited to be a part of the uScribe family and help others discover their passion for writing. 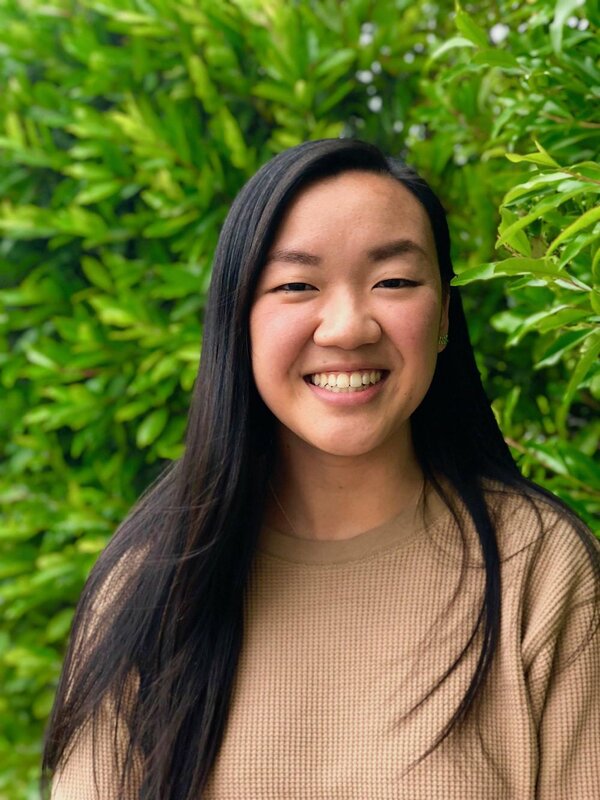 Cathleen Huang, currently a senior at Arcadia High School, has had many experiences working with people. Cathleen was one of the core startup members of uScribe and offers valuable experience in management and leadership. She was a peer tutor in Dana Middle School, a circulation volunteer at Arcadia Public Library, and an intern at City of Hope’s ROP program. She is currently a teen volunteer at Arcadia Recreational Center, a music therapy volunteer at Methodist Hospital, a member of Students Promoting Literacy, and a member of Quiz Bowl. Some of her leadership experiences include serving as the assistance concert-mistress in Orchestra 2, secretary for Students Promoting Literacy, and a music therapy leader at the Methodist Hospital. Cathleen specializes in essay writing, creative writing, and in poetry. 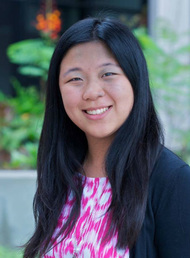 Jacqueline Lu is currently a junior at Arcadia High School. Her extracurricular activities include equestrian riding and playing the oboe in a youth orchestra that practices at California State University Los Angeles. Having gained leadership experience through multiple elections as class president and activity coordination at church, Jacqueline loves to spend her free time writing fiction and reading poetry. 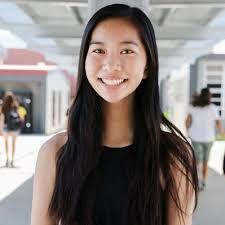 Jasmine Oang is currently a junior at Arcadia High School. She is involved in many groups including auxiliary, orchestra, and other performing arts organizations. Outside of school, she is a jazz and contemporary dancer at Ballet Kukan and frequently volunteers at the FA Chinese School. Leadership experiences include serving in ASB for the past four years and being elected of vice-president twice. 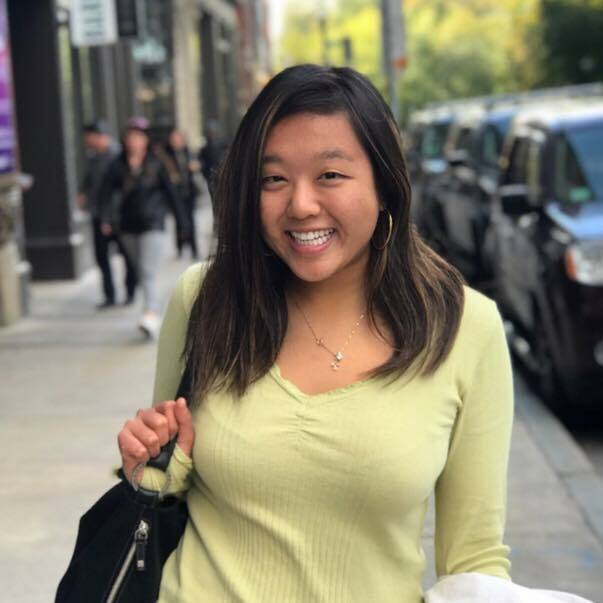 Aspiring to be a lawyer, Jasmine hopes to grow the organization through recruiting younger audiences and fostering potential at the middle school level. Abraham Niu is currently a junior at Arcadia High School. He is a part of Arcadia High School’s ASB, Prom Committee, Student Council Apache Commission, Arcadia Civic Youth Council, Interact Club, and Arcadia's Open Percussion Ensemble. In his free time, he enjoying hanging out with friends, traveling, hiking, and reading. He is excited in growing uScribe among younger audiences and teaching local classes. of the founding architects of both Hawaii’s Healthy Start and Healthy Families America (HFA). She has conducted many conference workshops and keynote addresses and community forums on home visiting and family support and has provided technical consultation in development of family support programs throughout the U.S. and Canada, and in Philippines, Jordan and Japan. 2) Abraham P. Lee, Ph.D: Professor Lee is Chair of Department of Biomedical Engineering at the University of California, Irvine. He is Professor in Biomedical Engineering and Mechanical and Aerospace Engineering. He is an Editorial Board Member of Lab on a Chip Journal, and Fellow of American Institute for Medical and Biological Engineering. Prof. Lee has published over 70 peer reviewed articles and owns 32 issued patents. He received his Ph.D. degree in Mechanical Engineering from the University of California at Berkeley. 3) John Wuo: Mr. Wuo is the former mayor of the City of Arcadia, CA. He has served as Centennial Mayor for the City of Arcadia in 2003, and again served as a full term Mayor in 2005-2006 & 2009-2010 when Arcadia was ranked the Best City to Raise Children by Business Week. Mr. Wuo has served as Chair for Methodist Hospital Foundation Board, and currently serving on the Board of Governor of Farmers Insurance Exchange and Board of Governor of L. A. County Nature History of Museum.